This summer cap is constructed of cotton twill with red rayon piping. The red piping was torn and revealed a group of 5 blue threads. One side of the cap is in excellent condition, the other has slight tissue damage. 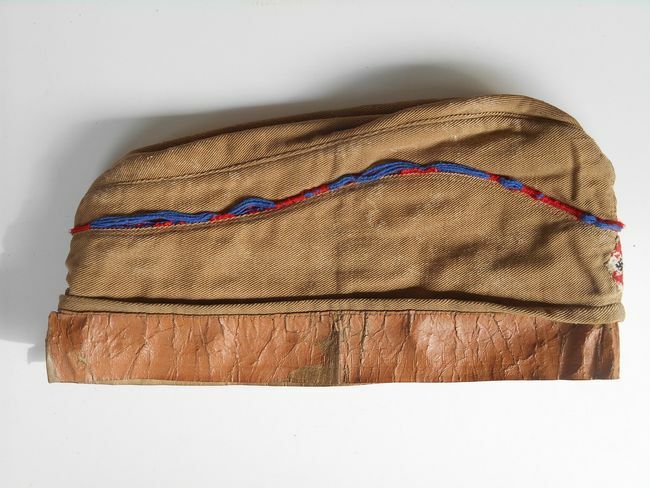 The length of the cap is 26 cm, inside there is a layer of leather and the letterings WN PM & TN. HJ diamond to the front edge. Overall, very good vintage condition with signs of wear commensurate with age.